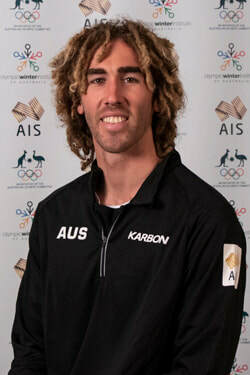 Cam Bolton previously competed in skiing and snowboarding until, at 15-years-old he was advised by coaches to choose – with snowboard being his preferred snow sport. The all-round sportsman also has a love of the beach and competed in Surf Lifesaving at a national level in the Ironman, Board Race, Surf Race and 2km Beach Run, becoming the Under-19 state champion for the 2km Beach Run. Bolton’s first World Cup Snowboard Cross season was in 2011 and in March 2013 he clinched a then career high top-ten finish in Sierra Nevada. In the 2013-2014 international season, Cam received a confidence boost heading into the Sochi Olympic Winter Games with a fifth placing at the prestigious X Games in Aspen, USA. He continued his good form into Sochi advancing to the semi-final and ultimately 11th place - the highest result of the Australian men. Bolton experienced a challenging 2014/15 season after many event cancellations, yet placed 15th in the 2015 World Championships in Kreischberg, Austria in early January. His best result came in December 2015 with a World Cup fourth place (and final) at Montafon, Austria. Early in 2016 Bolton sustained a significant back injury and returned to the World Cup circuit late in 2016 with a 15th place finish – again at Montafon. Bolton made his second Olympic appearance at the PyeongChang 2018 Games finishing tenth, placing fourth in the Small Final after a crash in the semi-final saw him injure his wrist and narrowly miss out on joining Aussie teammates Hughes and Pullin in the Super Final. I began my sport in ... the pursuit of missing more school. I enjoy my sport because ... it allows me to surf mid week for 9 months of the year. Favourite other sport to watch or play: Josh Miller eating cake.